June is an important month for the LGBTI community. In June 1968, a gay bar in New York City - the Stonewall Inn ­- was raided by the police, and the ensuing riots sparked a worldwide liberation movement that is still strong today. Now, each summer, the LGBTI communities, and their allies, come together to celebrate the progress we’ve made across the world. 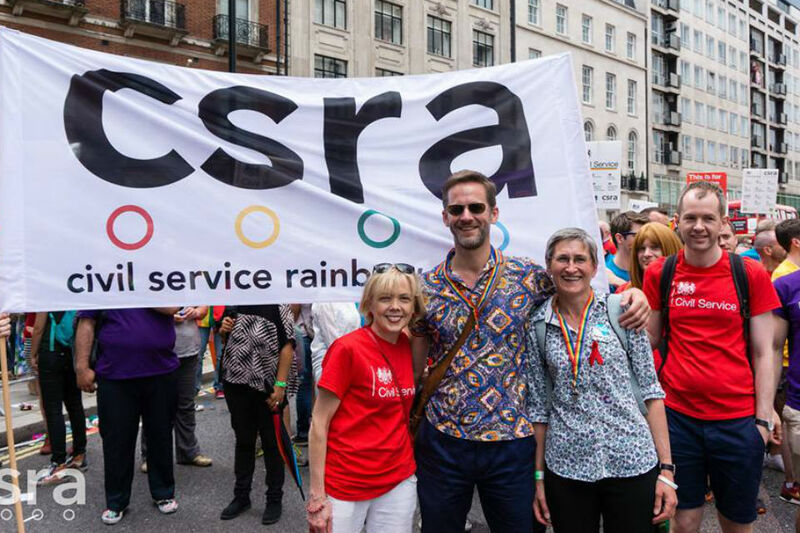 Last Saturday, I joined 200 LGBTI civil servants and their allies at Pride in London. 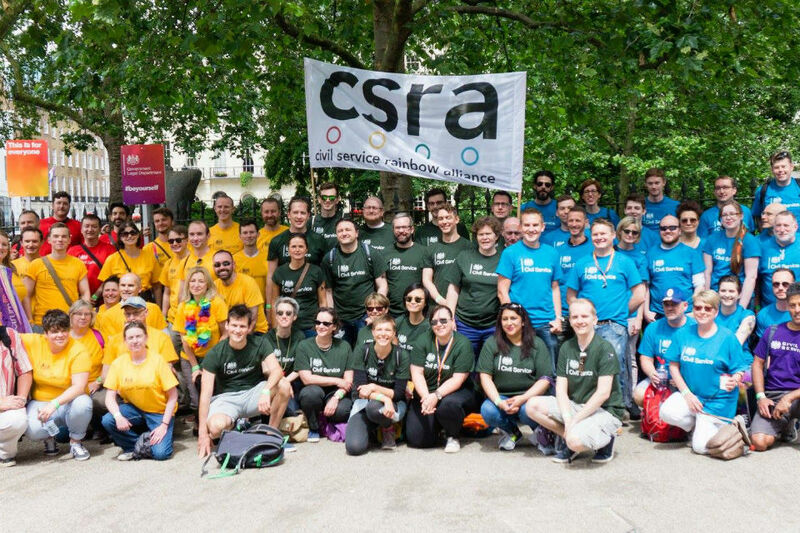 It was the biggest turnout we’ve ever had as a Civil Service, and a testament to the progress we’ve made in making government a more diverse and inclusive employer, not just for LGBTI people, but for everyone. It’s also a testament to the hard work of our cross­-government volunteer network, CSRA, who organised our participation again this year. This is the third Pride parade I’ve taken part in since becoming the LGBTI Diversity Champion for the Civil Service. Each year, I’m amazed and enthralled by the vibrancy and spirit of the event. This year had a special significance though. The terrible events of just a few weeks ago in Orlando have been a reminder for me, as for many others, that despite the progress being made internationally on securing LGBTI people’s rights and freedoms, we still have much, much further to go. The Civil Service has a lot to be proud of in driving that progress forward. The work we do every day has an impact on the lives of millions of people across the country. The decriminalisation of homosexuality, equal marriage rights, the Equalities Act: none of these would have happened if it weren’t for the tireless efforts of civil servants. We’re not often in the limelight, but we are the reason our country is seen as great country for LGBTI people to live, love and work in. But laws can’t fix everything. You can’t legislate away homophobia, biphobia and transphobia. We need to change people’s perceptions too; that’s when you achieve real equality. For us in the Civil Service that means enabling people to bring their whole self to work. We all have a responsibility to make the Civil Service an open, welcoming, empowering organisation because when we do, everyone benefits. LGBTI people benefit because they don’t have to hide themselves at work. They can put everything they have into doing a great job; and we can invest in them because we see their true potential. Government benefits because when people feel safe at work, they produce better results; and that means the public we serve benefits too. As an ally, I support Pride because it’s the biggest demonstration we can make, as a Civil Service, that LGBTI people are welcome here; that they are supported and they are able to be themselves. So this is a call to action to everyone working in the Civil Service: be yourself. Bring your whole self to work. Let others do the same. Champion our differences; celebrate them. They only make us stronger. 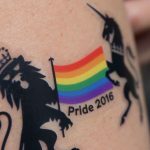 This weekend was the first of 6 Pride events the Civil Service is taking part in this year. If you want to be a part of it, you still can by registering on the CSRA website.